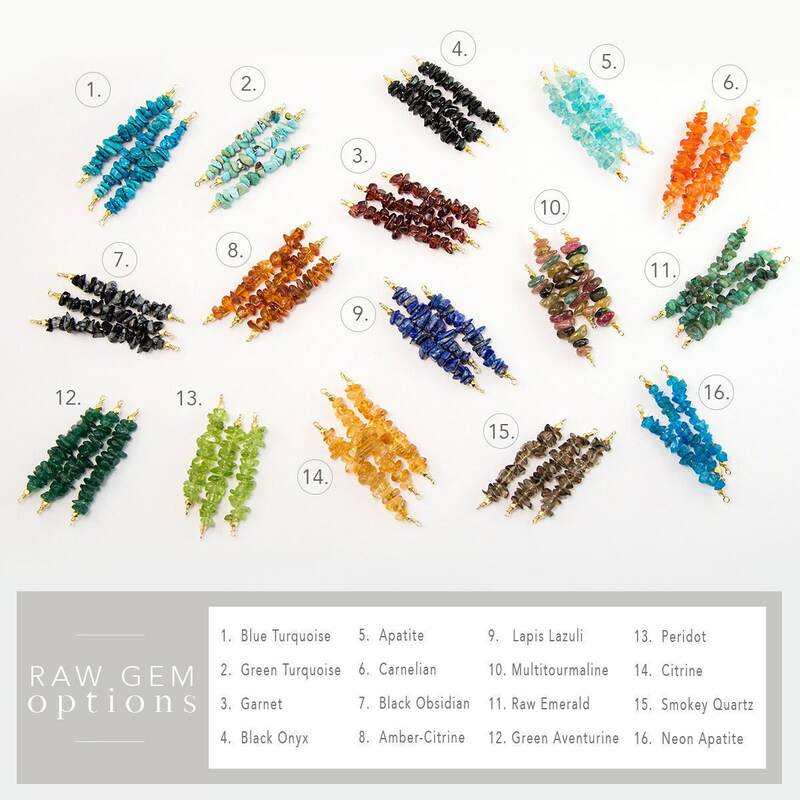 A beautiful bar of natural rough gemstone chip beads set in a dainty chain. 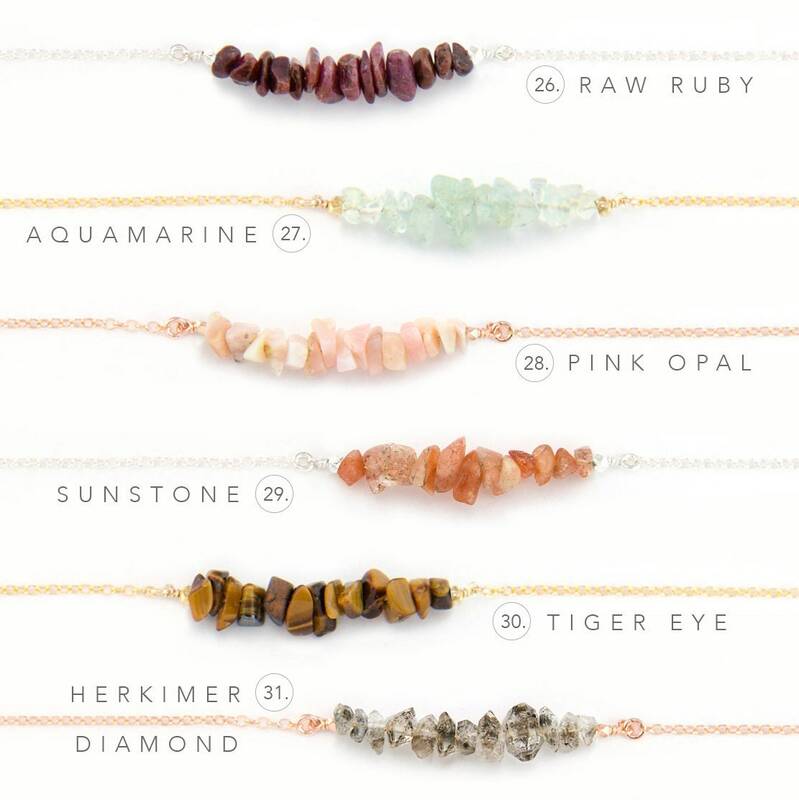 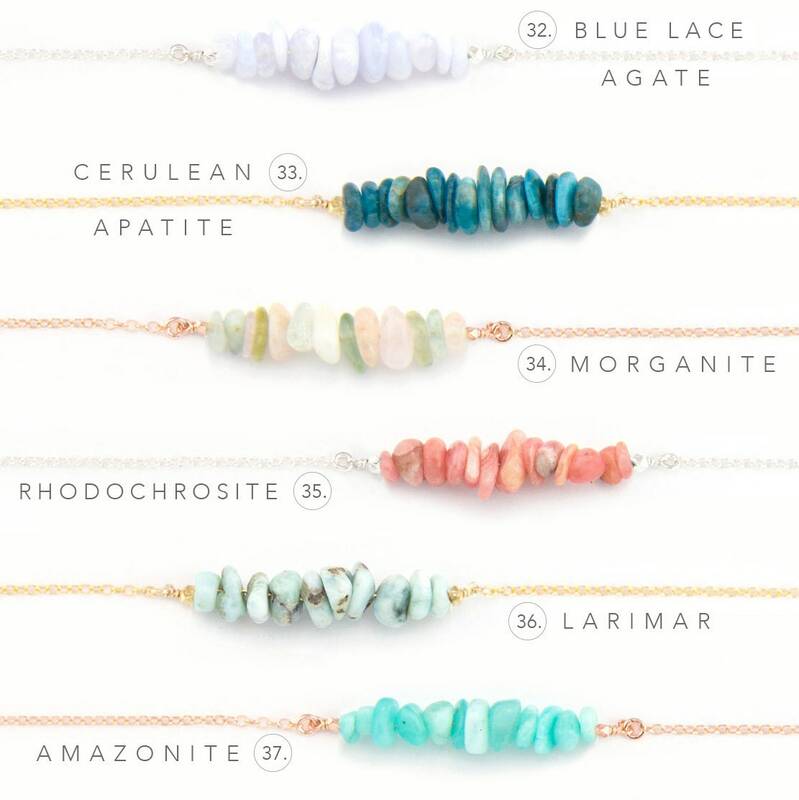 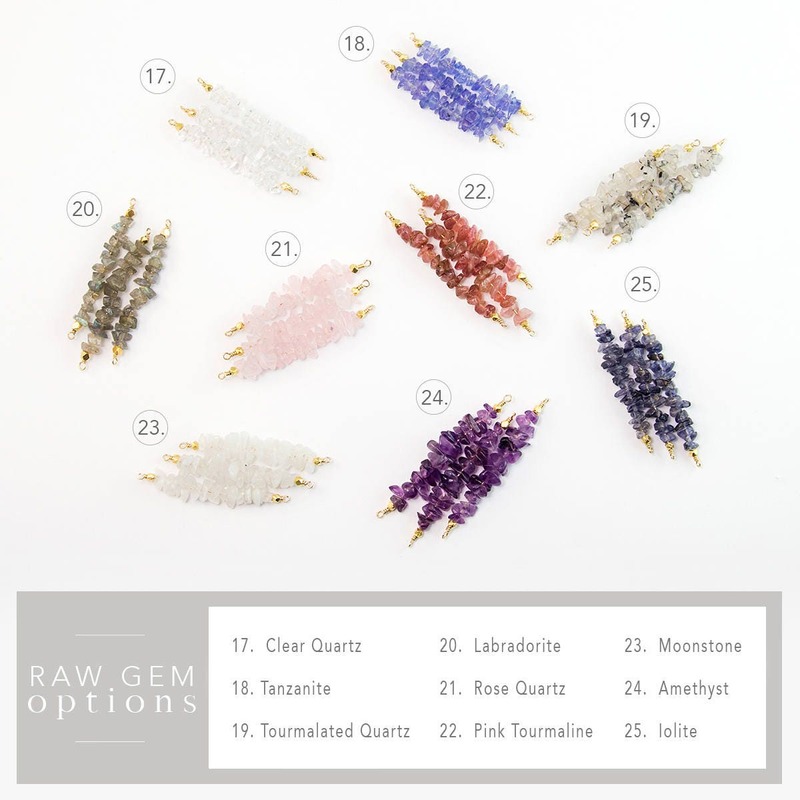 These necklaces come in 25 different natural stone options & make great gifts as birthstone necklaces or to wear for their healing properties. 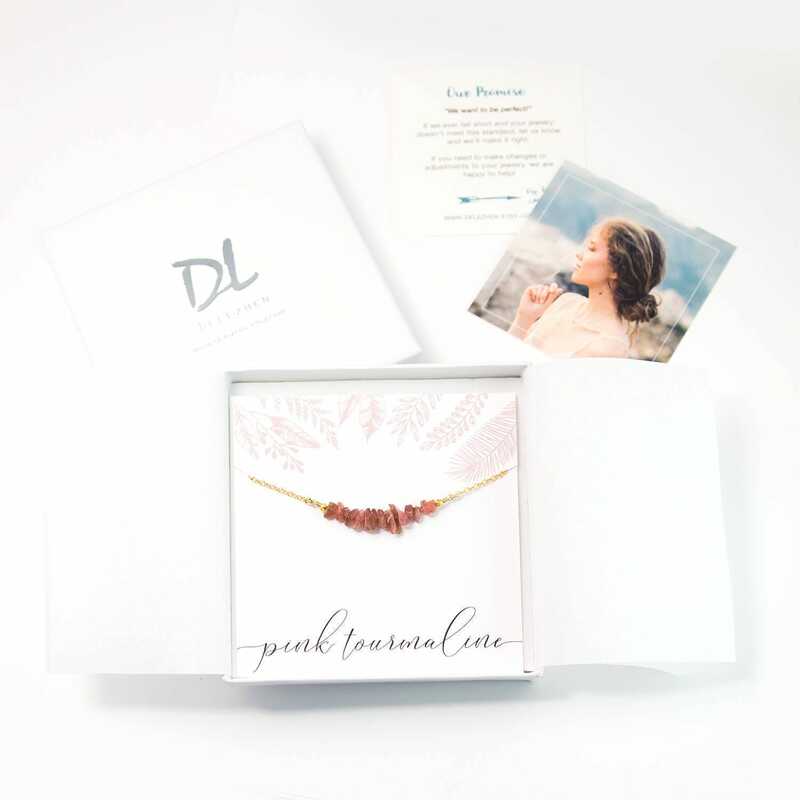 Each necklace comes with a matching card, polishing cloth & care instructions, making them the perfect present to ship directly to the recipient! 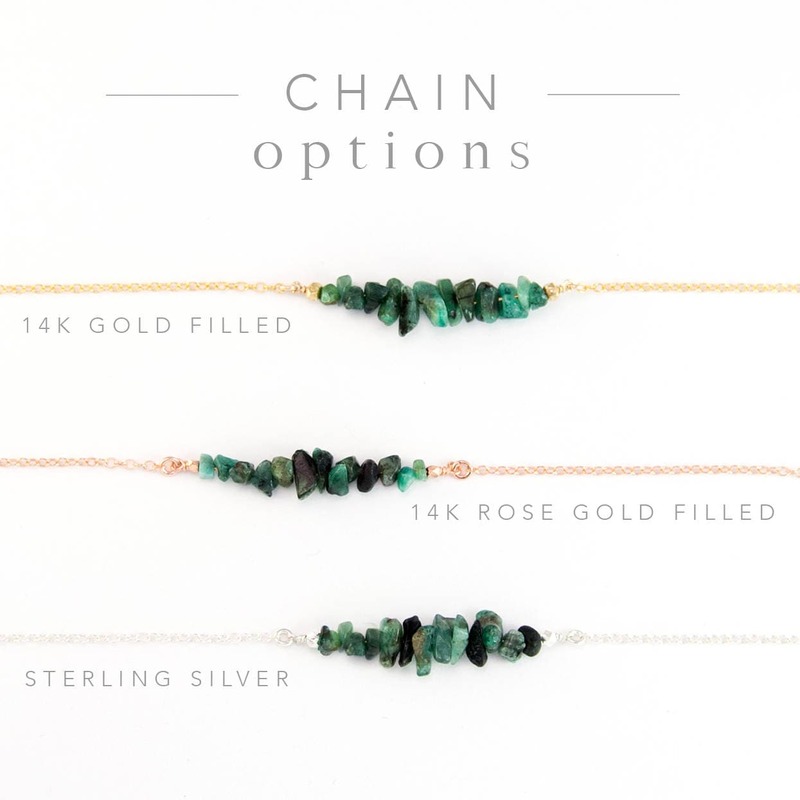 Available in Silver, Yellow Gold & Rose Gold finish. 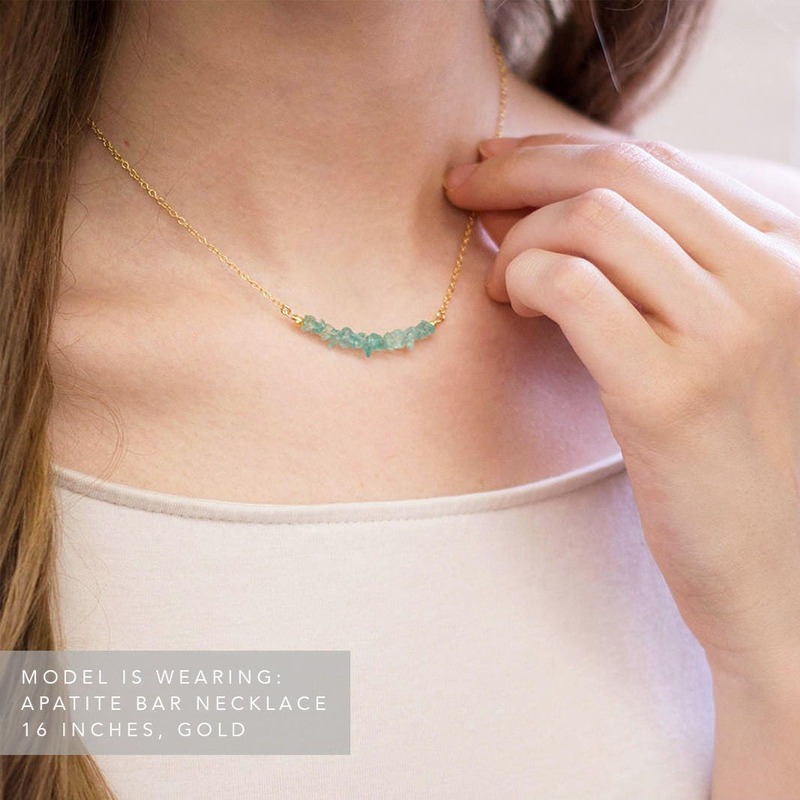 My necklace was a custom order. 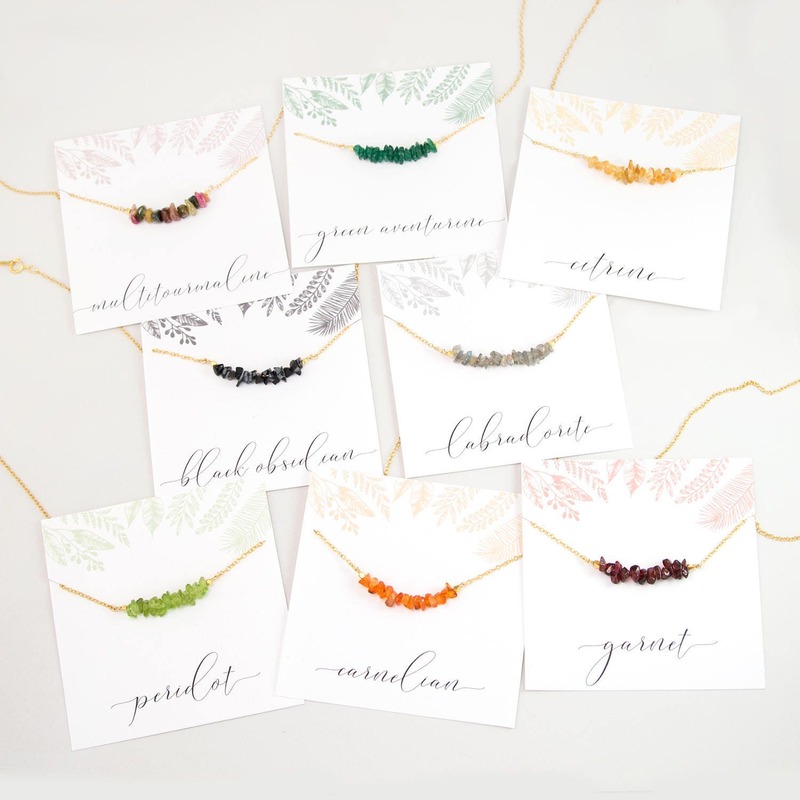 The shop was very easy to work with and asked very specific questions to ensure that the necklace was exactly to my taste. 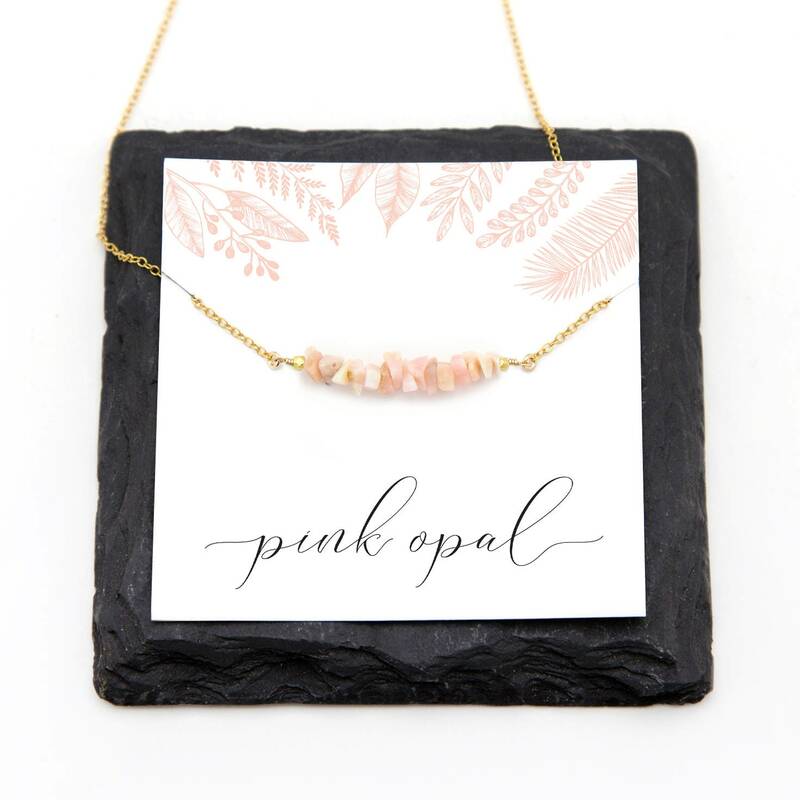 Shipping was very fast once the order had been placed.